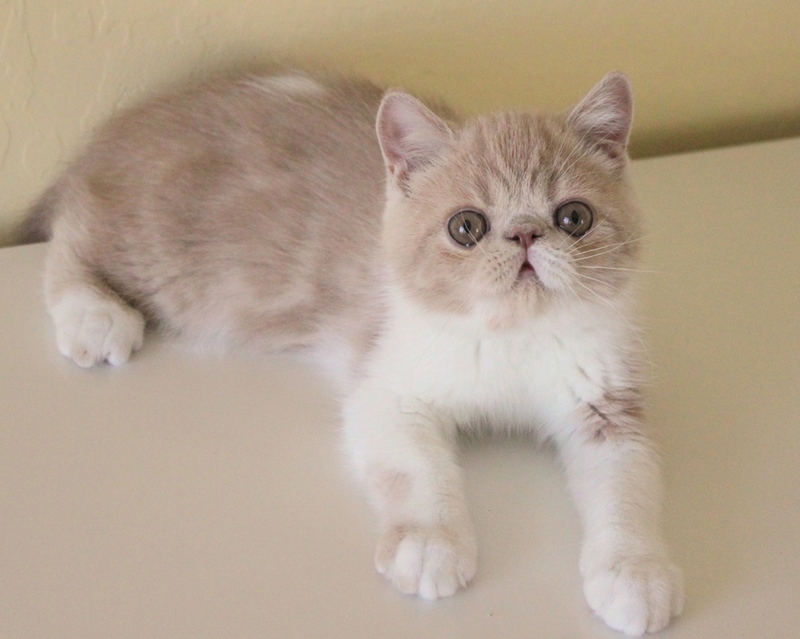 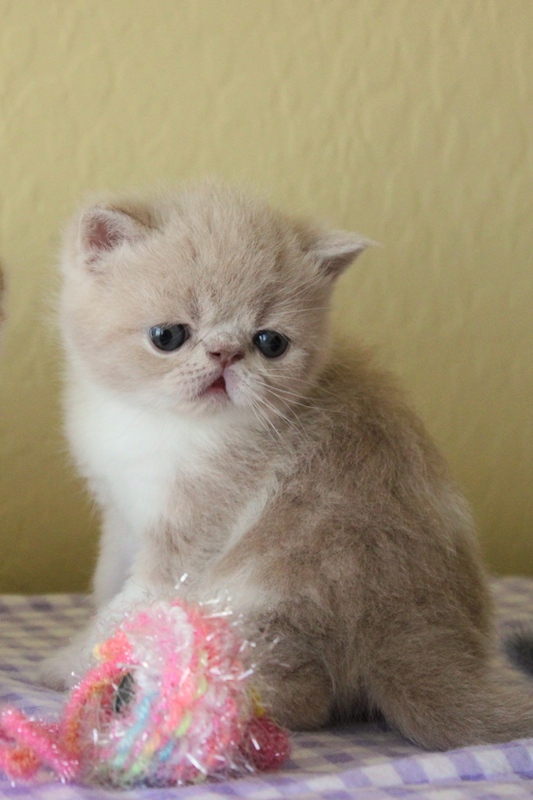 Cream and white classic tabby bi-color Exotic Shorthair male. 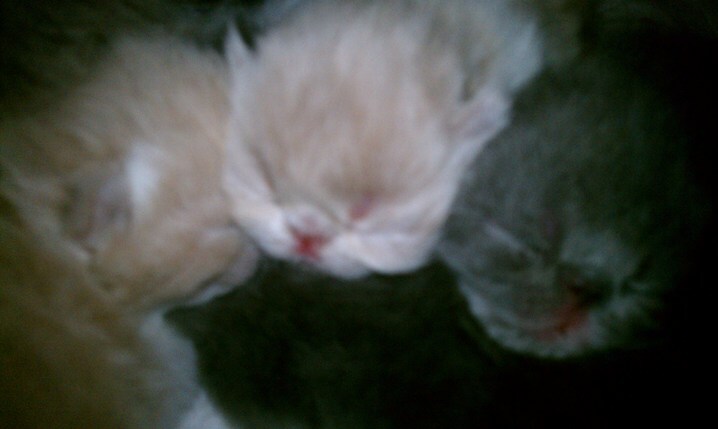 Now living in LA with Fei-Fei and Alan. 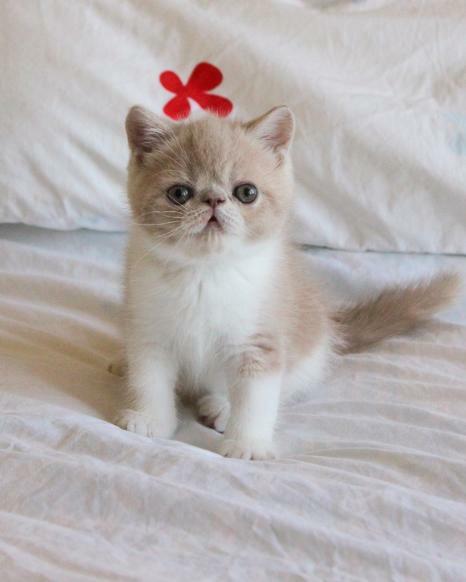 Hoping for pictures with his new family to post soon!